Issues with drainage networks can be detrimental for those within the surrounding areas, especially businesses. Sewer drain cleaning is often the best method of removing issues and preventing them from occurring on a regular basis. Whether there are ongoing drainage problems that don’t seem to be going away or a one-time issue that is caused by a build-up of waste in the network – our sewer drain cleaning services are here to help. Our experienced team have worked on hundreds of sewer drain cleaning projects, all of which have resulted in the client being extremely happy with both our level of customer service and the end result. Our team are often called in as experts in drainage networks, with a wealth of knowledge on how to resolve short-term and ongoing issues that don’t seem to be going away. Our team have worked on a variety of projects from complex systems through to basic commercial drainage, we can handle it all. As we are so experienced in sewer drain cleaning, we also recommend for businesses to carry out regular maintenance on their drain network to prevent issues from reoccurring and to decrease the likelihood of any detrimental problems from occurring. 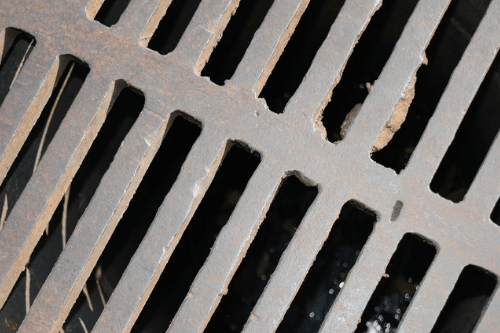 As part of our sewer drain cleaning services, we schedule regular visits to specific areas of the drainage network that have experienced issues previously. We carry out maintenance on these pipes and areas to ensure that everything is functioning smoothly. Our maintenance services not only save money in the long run, but they also save time. Preventing further issues from occurring means that you won’t have to waste time calling our team out should an issue present itself. Instead, we are already aware of any potential problems and manage these via our sewer drain cleaning services. Our professional team have over 20 years of experience in working on sewer drain cleaning projects. Our clients range from small local businesses through to councils and national organisations. The variety of projects that we have worked on means that we can tackle just about any drain network issue. The Mantank Environmental Services team are able to utilise high quality equipment for all of our drainage projects. We have invested heavily in our kit to ensure that we offer an unmatchable service to our clients. We work alongside all our clients to ensure their requirements and expectations are met throughout the project. Our background in drainage services means that our team are equipped for whatever incidents may occur when diagnosing and fixing the sewer drain cleaning issue. We have extensive experience in ensuring that downtime is kept to a minimum so usual activities and business is only minimally affected. Whatever your requirements our professional team are here to help. Get in touch with our friendly team to find out more about our sewer drain cleaning services. We are a highly experienced team and offer cost-effective solutions to our clients. Find out more by filling in our contact form and a member of our team will be in touch with you as soon as possible.